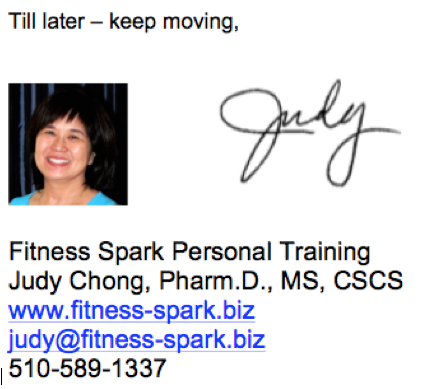 FitnessSpark*S* is written by exercise physiologist and personal trainer Judy Chong. It is based on her over 12 years of experience and it is her hope that the information will educate and inspire folks to better fitness, health & wellness. 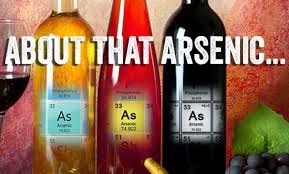 Arsenic & Cheap Wine? 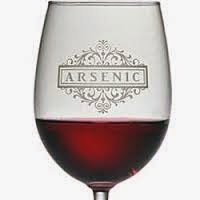 Here's more detail for the CBS report on excessive levels of arsenic in cheap wines. The list consists of wines tested by Kevin Hicks of Beverage Grades. 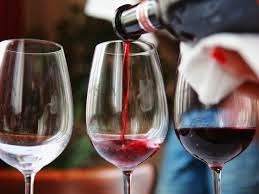 Beverage Grades offers quality testing to wineries, and guess who stands to benefit if wine has to be tested for arsenic levels? The website itself was set up by attorneys associated with the lawsuit so take the information on it with a grain of salt. Some Comparisons Most people’s first knee jerk reaction is that arsenic in wine has to be bad, but some comparisons need to be made. *Canadian standards are 100ppb in wine. *There are no American standards for arsenic in wine; but EPA standards for water set in 2013 are 10ppb for 2 liters of water. I don’t drink know many people that drink that much wine a day. *Arsenic occurs naturally in the soil. It can come from soil that’s been under cultivation for awhile due to past pesticide use. *It can also come from bentonite which is used to filter wines. *Kevin Hicks stands to benefit from the lawsuit and is the one marketing the testing service. He was turned down by several wineries and went to the lawyers who found 4 “injured” consumers. *The law suit claims 500% times the level found in water was found. This is still 50 ppb, which is under the standards in Canada & Europe. And the 10ppb is for water, not wine. No one knows if it is valid to apply this standard to wine. *The results have not been independently verified. The lawsuit claims it has, but such verification hasn’t been published. *Some testing by independent labs for retailers are coming up with much lower values that Beverage Grades. Some are below the EPA standards. *Doing the math, this Forbes article, notes that 2 glasses of wine “might” be the equivalent of drinking 1.5L of water at the maximum amount allowable. *The story made the headlines due to the size of the retailers being sued. These are the large volume sellers of less expensive wine, not the winemakers. *The grapes for less expensive wines tend to come from the Central Valley of California where land has been in use for decades, and has been exposed to arsenic containing pesticides. Should We Worry? Arsenic can cause cancer as well as damage the nervous system. It can show up as brownish green spots on the hands, feet & trunk as well as white streaks on the finger nails. There are also other foods with comparable arsenic levels – fruit juices, rice products, baby formula, shellfish, dark meat fish..
For More Information This analysis on Snopes is interesting. And for another point of view, check out Natural News. The author has his own ax to grind but comes off as more creditable than Kevin Hicks. No One Knows the answers yet. As always, when there is no reliable data or recommendations are in flux, moderation in dietary matters, and a healthy lifestyle are the best we can do. Footnote: Experts expect the suit to be thrown out since there are no standards which have been violated. Stay tuned. What’s The Best Biceps Curl? For those trying for bigger “guns”, have better looking arms, or just want to use their time the most efficiently, should take a look at this American Council On Exercise article on a study they commissioned. The concentration curl beat out 6 other biceps variations. 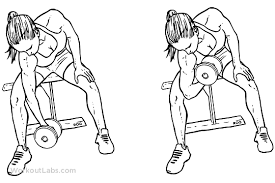 It isolates the biceps so that there is maximal biceps activation. To see how to do it properly, click here. And for a Shoulder & Biceps Routine that hits all the muscle groups, try this one.